Children are our youngest and the most important patients. Healthy habits, like brushing teeth, are to be nurtured from the very early age, so it si preferable that the first visit to the dentist’s is when a child is two or three years old and when there are no symptoms which require any intervention. In that way they perceive the dental practice as a new and interesting space, and a doctor as a friend. Children do not have innate fear of a dentist, however it is acquired in time; so before seeing a dentist do not mention any pain, needle, anesthesia or your own unpleasant experiences. 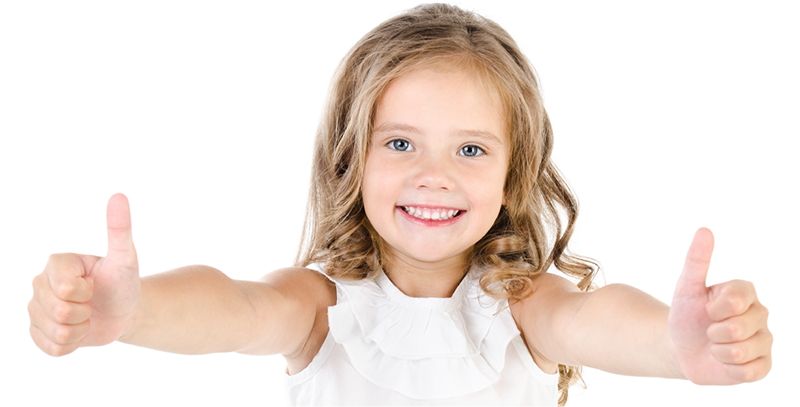 Since children look up to their role models, especially parents, it is you, in the first place, who is to make sure that your child sees how you take care of your oral health and have regular appointments with a dentist. Through fun activities we will show you and your children how to brush teeth properly, how to use dental floss and why ti is very important. By using special tablets and solutions, which can colour plaque, children will be able to see where these layers are. This will make them aware that their teeth will be “dirty” unless they brush them in the right way. It is difficult to maintain oral health care with tartar on teeth as it attracts bacteria, makes gum sore and breath unpleasant. Removal of tartar and plaque is recommended at least twice a year so as to improve and maintain the healthy conditions of your gum and teeth. Fissures and pits are grooves on the chewing surface of teeth which are hard to reach with a toothbrush allowing accumulation of bacteria and tooth decay to set in. By applyling fissure sealants over these grooves we prevent a tooth from developing caries. According to the clinical researches it is determined that this method decreases the risk of caries by 80 %. The intervention can be done immediately after the milk teeth emerge, without waiting for the whole teeth to come out. This procedure, which is short and painless, does not require any prior preparation of teeth. Fluoride has a great anti-calculous effect so that today there is hardly any toothpaste without fluoride. Not only is it enough to brush teeth with a toothpaste with low level of fluoride but it is necessary to treat teeth with a high concentration of fluoride solution twice a year. Fluoride connects firmly to the tooth enamel making the bond stronger then that of the enamel and calcium. In that way the process of demineralization is weakened and the appearance of white stains, which is the first sign of tooth decay, is diminished. Fluoride varnish in high concentrations is applied only in the dental office, lasts a couple of minutes and is completely painless. Caries in milk teeth is a common case. The frequent intake of sweetened food and liquids, fruit and milk leads to demineralization of milk teeth enamel and consequently to decay. It is important to spot the problem on time in order to correct bad habits and treat the decay while still at early stage. The earlier the problem is addressed, the less extensive and stressful the treatment will be with the greater chance for the tooth to be saved. Fillings for milk teeth are made of high quality composit materials as well as glass ionomer materials which have ani-caries effect. 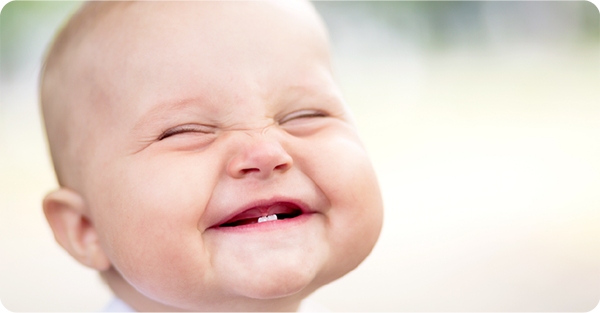 Milk teeth affect not only the proper growth and development of face and jawbones but speech also. They play important role in chewing and psychological development of a child. The loss of a milk tooth makes neighbouring teeth drift blocking the space for permanent teeth, causing difficult-to-treat crowding and misalignment which requires corrections by orthodontic appliencies. Because of all these it is crucial to mailntain milk teeth long enough until the permanent teeth start coming out.